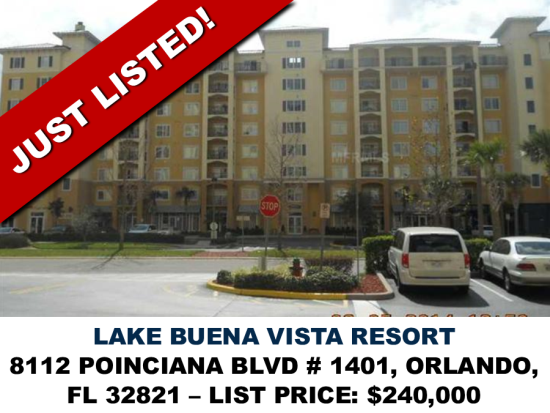 This well-appointed vacation condo is located just minutes from all of Central Florida's main attractions. Lake Buena Vista outlet mall is close by from the resort with Downtown Disney just a few minutes’ drive. There is wide variety of restaurants locally. The Barbados living room includes a sleeper sofa and large screen TV adjacent to the private balcony. The Barbados living room includes a sleeper sofa and large screen TV adjacent to the private balcony. The dining area offers seating for 6 around an expansive glass topped table. The kitchen includes granite countertops, cherry wood cabinets and full size appliances, including refrigerator and freezer with icemaker, stove/oven and dishwasher. The kitchen is fully equipped with dishes, glasses, flatware and cookware. The master bedroom features a king size bed, TV and master bath with an oversized jetted tub. The second bedroom offers a king size bed and TV. The third bedroom offers two twin beds and TV. The second bath is located in the hall between the second and third bedrooms. Resort facilities and amenities: Pirates Plunge pool, 24-hour fitness center, full service spa, Lani's Luau Poolside Bar & Grille, Frankie Farrell's Irish Pub & Grille, Pizza Hut Café Express, wireless & wired internet access, convenience store & gift shop 24-hour reception, meeting room, personalized housekeeping services, staySky Kids Club and scheduled shuttles to the major theme parks.